CABARRUS COUNTY, North Carolina -- Kamerah Harris began the school year at the Opportunity School in Concord, North Carolina. 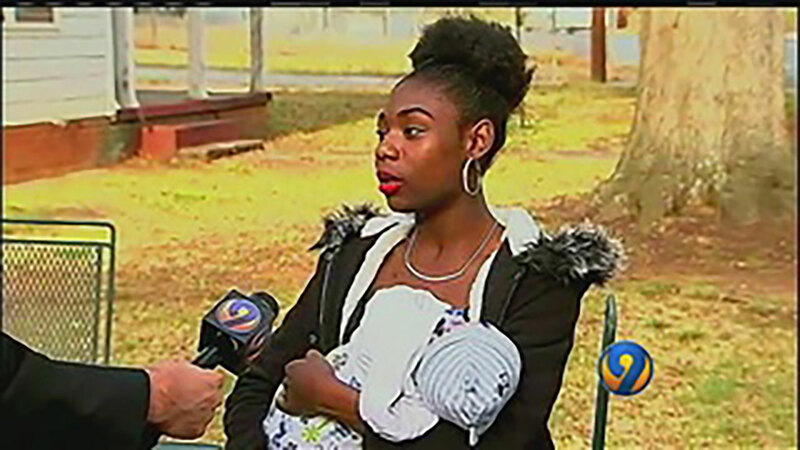 The 16-year-old was five months pregnant, but a high-risk pregnancy forced her to study from home in the final months before she gave birth to a healthy baby boy, Jaiveon, in December. WSOC reports the Cabarrus County school provided a teacher to come to the house. But on Jan. 13, that ended and she was told to return to class. "It was two weeks after I had him (Jaiveon)," Harris said. "They told me I had to go back to school. I wasn't let up from doctor's care or anything and he wasn't old enough to go to day care." She stayed out of school until she tried to re-enroll last week. School officials sent her mother a note, telling her that Harris is not allowed back because she has missed too many classes. "Finally, we got (Jaiveon) in day care and I was ready to go back to school," Harris said. "And they told me I couldn't go." WSOC reached out to the Cabarrus County School District, which said it could not share specific information about Harris. "I cannot share information about specific students, but I can tell you that Cabarrus County Schools provides a free education to all students who live in our attendance zone. Additionally, our district offers a variety of program options to serve the personalized needs and interests of all students," an official said. Harris is still upset because she said this roadblock delays her plans to provide the better life that she wants to give to her son. "I graduate and I'd be able to get a better job and get our own house," she said. "We'd be in the city somewhere."